Black Friday is over, and it’s time for Small Business Saturday! 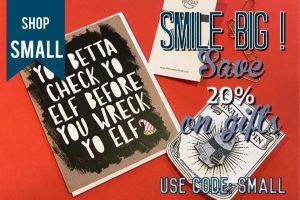 This Saturday, send a card with gift, and save 20% (now thru Monday) using code “SMALL” at checkout. 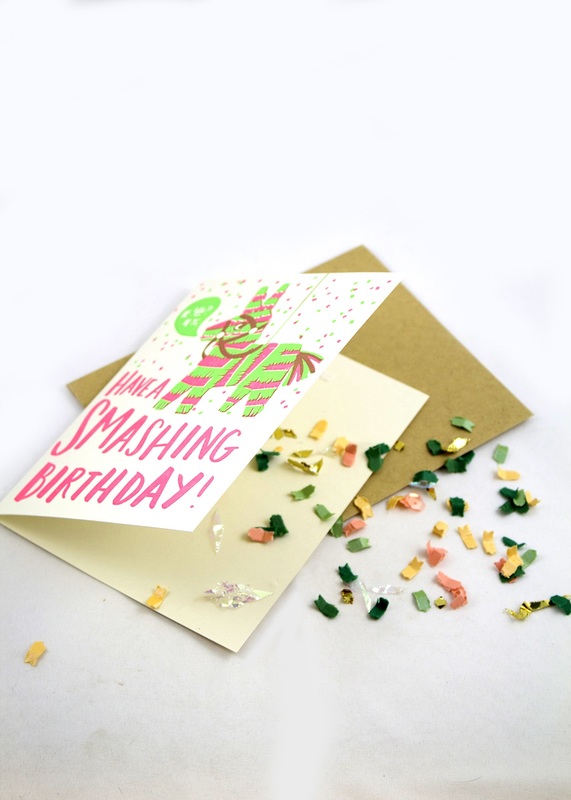 You can also turn a card into a party by adding some confetti for FREE using code “FUNFETTI” at checkout – brighten someone’s day and send something fun! When a person receives a card, it’s proof to that person that someone took the time to acknowledge their accomplishment, celebration, troubles, or otherwise. A loved one thought about them and turned that thought into an action. With technology being at the core of so much of what we do, getting a card with a handwritten note is a priceless gift. Text messages and e-mails are eventually deleted, and although it can be tempting to type a message and hit “send,” that message is fleeting. A handwritten card is a tangible memory; a handheld proof of an expression of thoughtfulness and affection. A person can keep a handwritten card for as long as they’d like, they can read the words over again a decade from now. Along with that, many people expect text messages, Facebook posts, or Instagram acknowledgements. Very few people, if any, expect to receive a real card. A handwritten card doesn’t get lost among a series of Facebook comments or within a group message, it is often one of a kind and comes with an element of surprise when that person opens their mailbox. Here at Sent-Well we believe in the power of a greeting card, specifically when it has a personalized note inside. We pride ourselves on sending cards on your behalf and we’ll handwrite a note inside of it for you. Do you have an occasion coming up? Shop Sent-Well’s cards today.